Walmart offers the Bose SoundSport Wireless Headphones for $99. Features: The Bose SoundSport wireless neckband headphones are ideal for use when one is commuting, during workouts, or on the move. 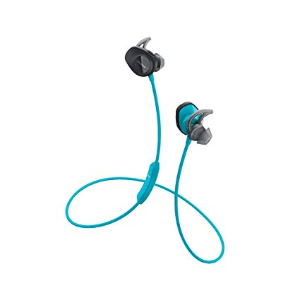 These wireless headphones feature playback controls, are sweat-proof, and the volume control feature allows users to control volume easily. The battery can last for up to 6 hours while the StayHear silicon tips are for stability. This aqua product has an inline mic that allows user initiate voice command.